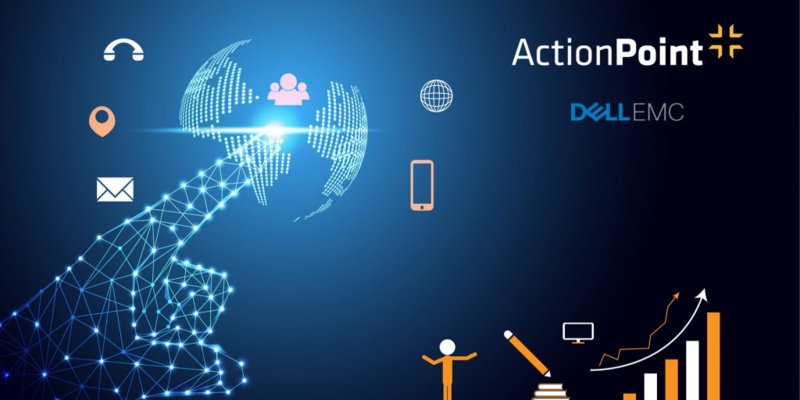 As part of a live co-hosted event with Strategic Partner, Dell EMC, ActionPoint Ireland recently presented, “Digital Transformation – A Practical Guide to Building the Future,” a panel discussion and workshop at the Dean Hotel in Dublin, Ireland. This interactive event provided an opportunity to have a thorough, open conversation with executives and business professionals about Digital Transformation, and learn from each other’s experience. ActionPoint CTO, John Savage and IT Director, Jonathan Deane offered valuable insight about the practical applications, benefits and impact of the vital change as it applies to the growth and success of one’s business. Our role in helping companies succeed with making a digital transformation through custom software development, was highlighted during this discussion. We were joined by Alan Higgins of Ingenium Training & Consultancy and John Riordan of Chill Insurance to share what they learned and gained from their digital transformation journey. We appreciate everyone taking the time to join us and thank all of our guests for attending. We hope to host another live panel discussion on this topic soon.